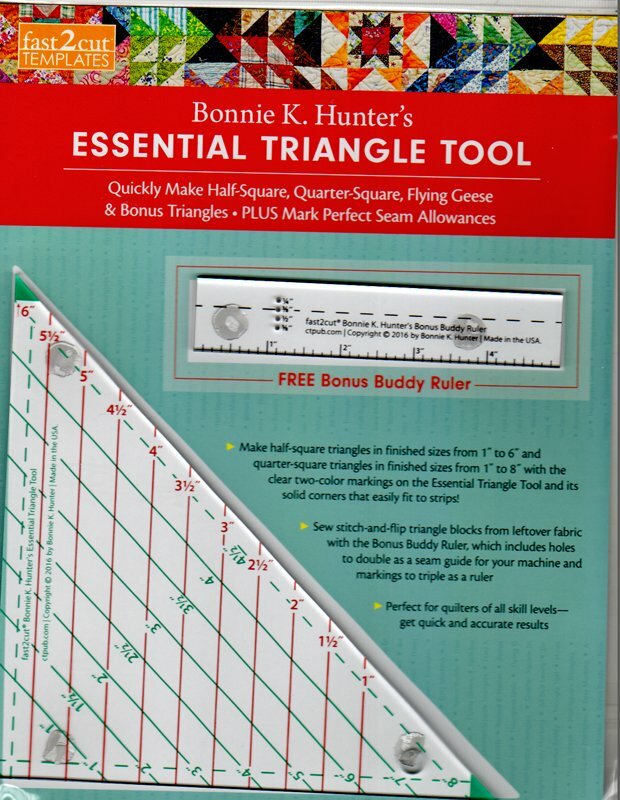 Bonnie K. Hunter's Essential Triangle Tool. Quickly make Half-Square, Quarter-Square, Flying Geese & Bonus Triangles, PLUS Mark Perfect Seam Allowances! Perfect for quilters of all skill levels - get quick and accurate results.